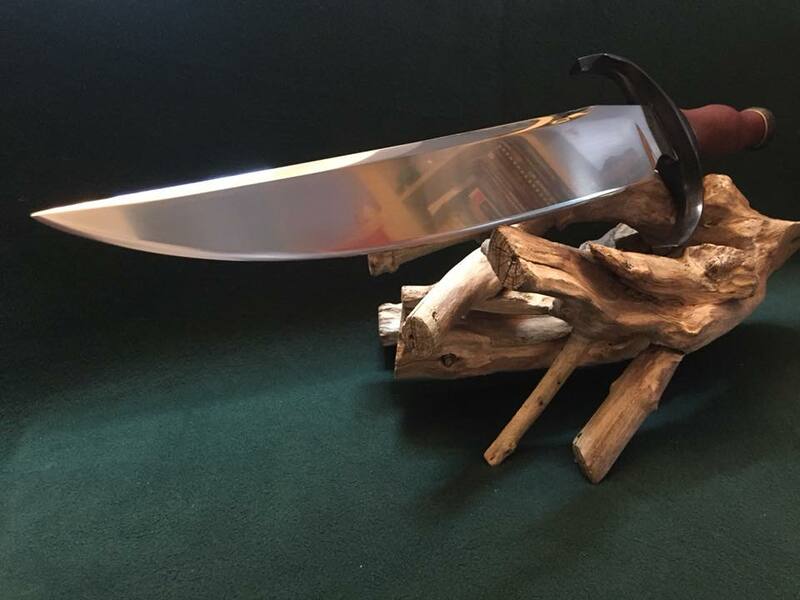 This was my interpretation of an American classic made for the “Knives Uk” show 2017. 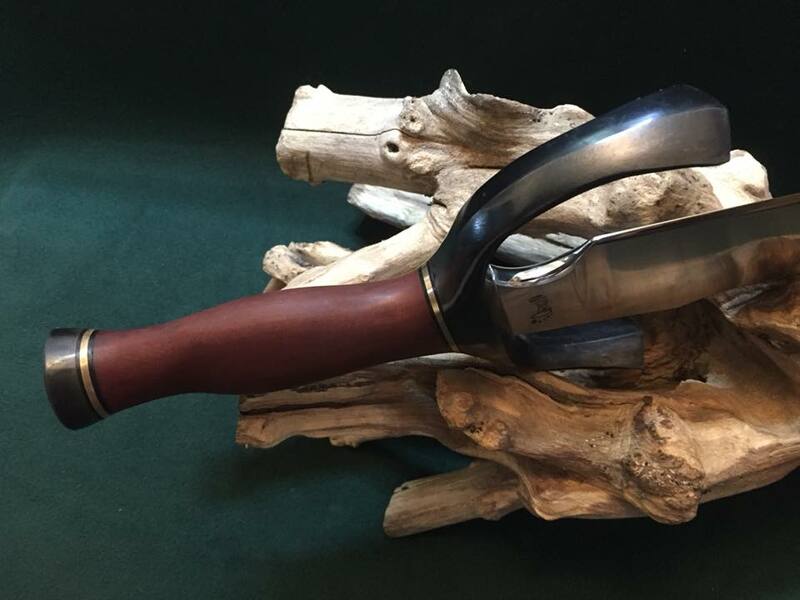 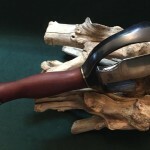 The 16″ blade is 52100 bearing steel with guard and pommel forged in the same. 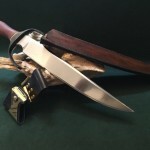 The handle is micarta with brass and black spacers. 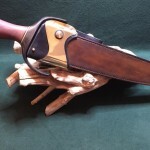 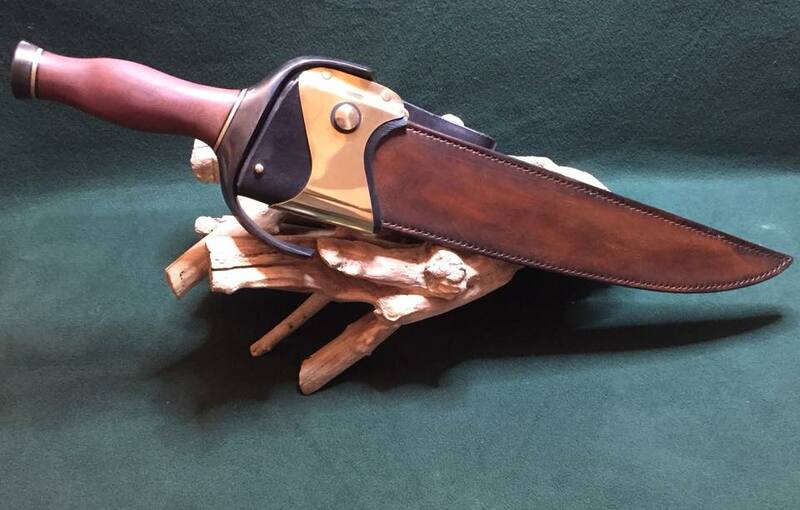 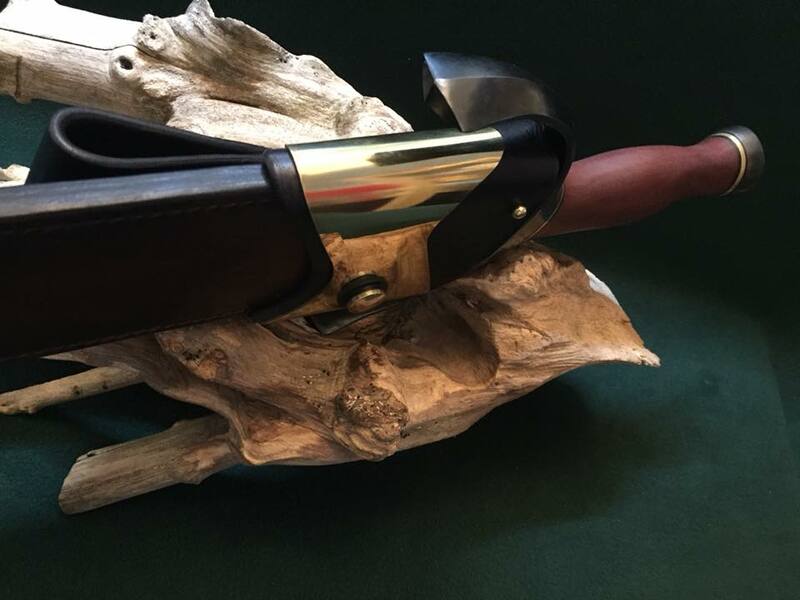 Oil dyed veg tan leather 4mm in thickness was used for the sheath and frog. 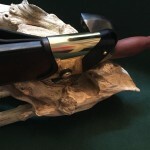 Solid brass sheet for the metal work on the frog along with turned brass parts. 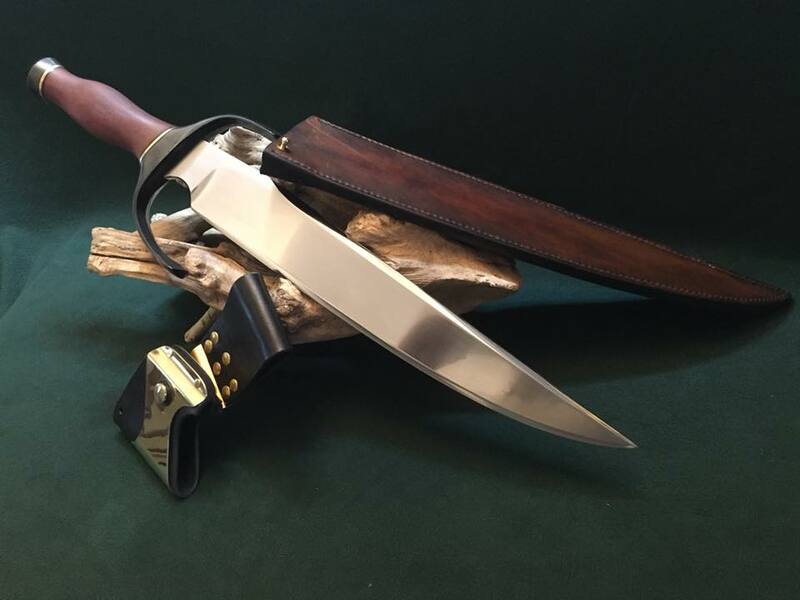 All metal work custom made for this knife.